​TIRE TYPE - Defines the proper use of the tire. P means this is a passenger car tire. If the tire had an LT then the tire would be for a light truck. 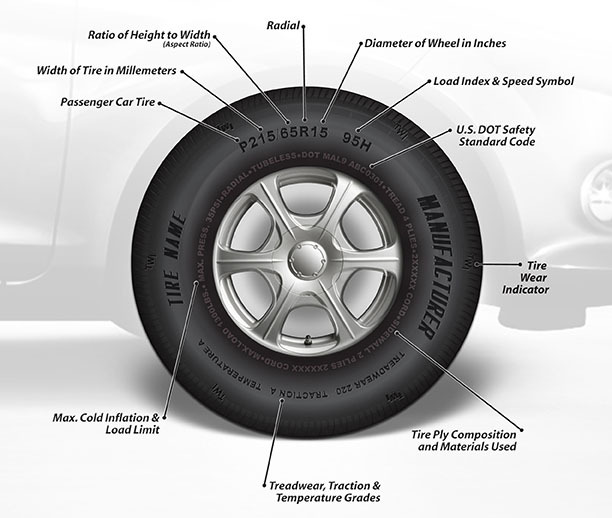 TIRE WIDTH - Is the width of the tire measured in millimeters from sidewall to sidewall. This tire is 215 millimeters. ASPECT RATIO - is the ratio of the height of the tire's cross-section to its width. 65 means that the height is equal to 65% of the tire's width. CONSTRUCTION - Tells you how the tires was put together. The "R" stands for radial, which means that the body ply cords, which are layers of fabric that make up the body of the tire, run radially across the tire from bead to bead. A "B" indicates the tire is of bias construction, meaning that the body ply cords run diagonally across the tire from bead to bead, with the ply layers alternating in direCiion to reinforce one another. WHEEL DIAMETER - is the width of the wheel from one end to the other. The diameter of this wheel is 15 inches. LOAD INDEX - is a number that corresponds to the maximum load in pounds that a tire can support when properly inflated. You will also find the maximum load in pounds and in kilograms molded elsewhere on the tire sidewall. 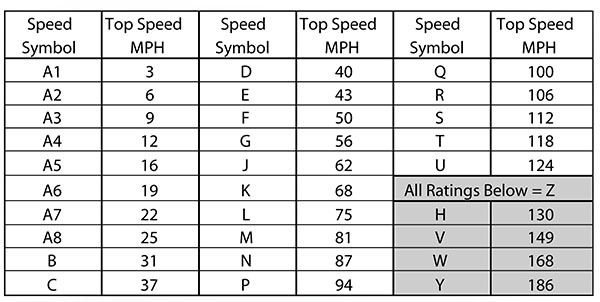 SPEED RATING - is a number that corresponds to the maximum service speed for a tire'"H" means that the tire has a maximum service speed of 130 mph. Please note that this rating relates only to tire speed capability, and is NOT a recommendation to exceed legally posted speed limits; always drive within the legal speed limits. DOT - means the tire is compliant with all applicable safety standards established by the U.S. Department ofTransportation (DOT). 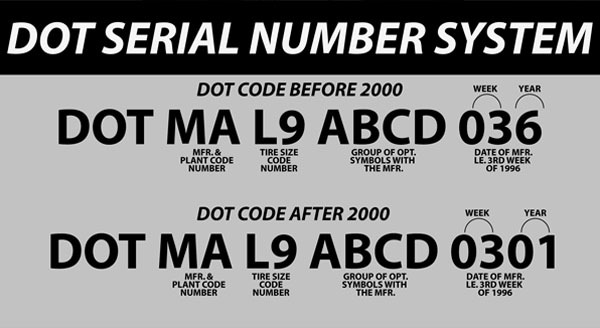 Adjacent to this is a tire identification or serial number; a combination of numbers and letters with up to 12 digits. UTOG - stands for Uniform Tire Quality Grading, a quality rating system developed by the Department ofTransportation (DOT). What does all that stuff on the tire mean?